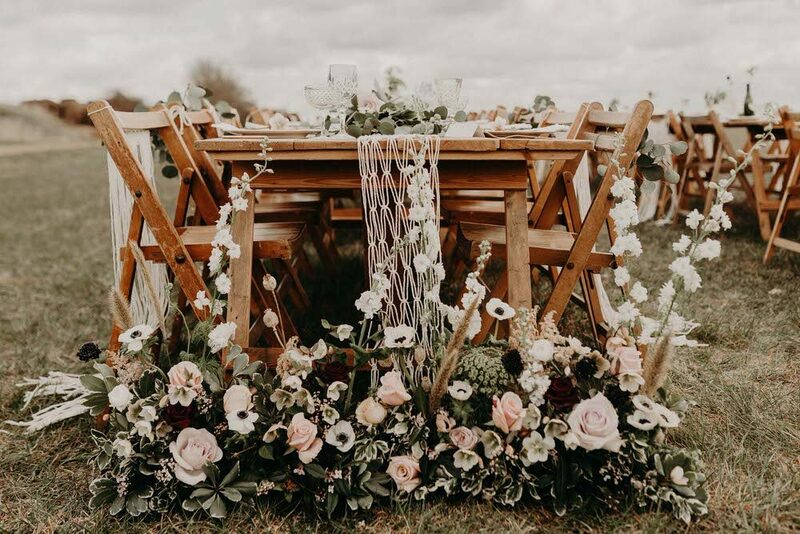 The dream team of Wonderland Invites, Kelsie Low Photography, Rock The Day Styling & Anthology Vintage Hire strike again with another bohemian delight at Browning Bros. Colchester. This time incorporating gingerbread tipi cakes, macrame and dried flowers and linens to their signature style. Plus the most beautiful lace gowns from Rock The Frock and a fabulous drinks trailer. Pinning fingers at the ready! 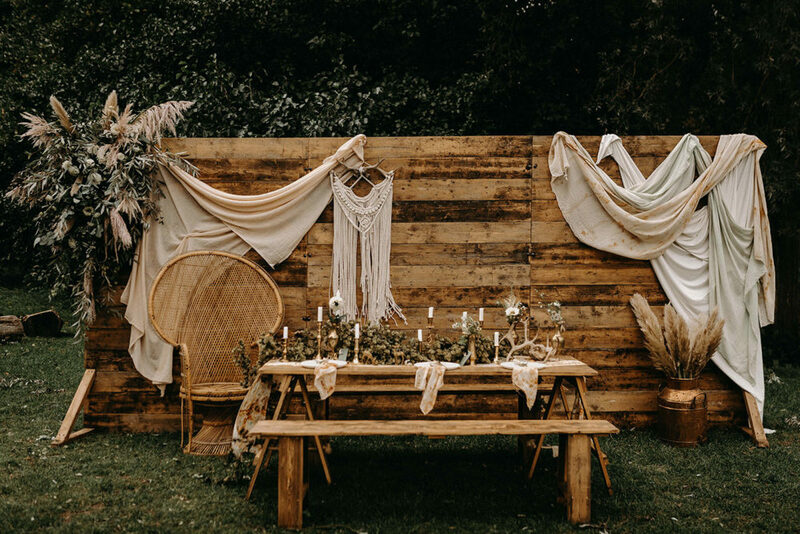 If you’re looking for some escapism from all this rain, then this truly gorgeous boho inspiration captured by Kelsie Low Photography at The Barns at Lodge Farm is for you. 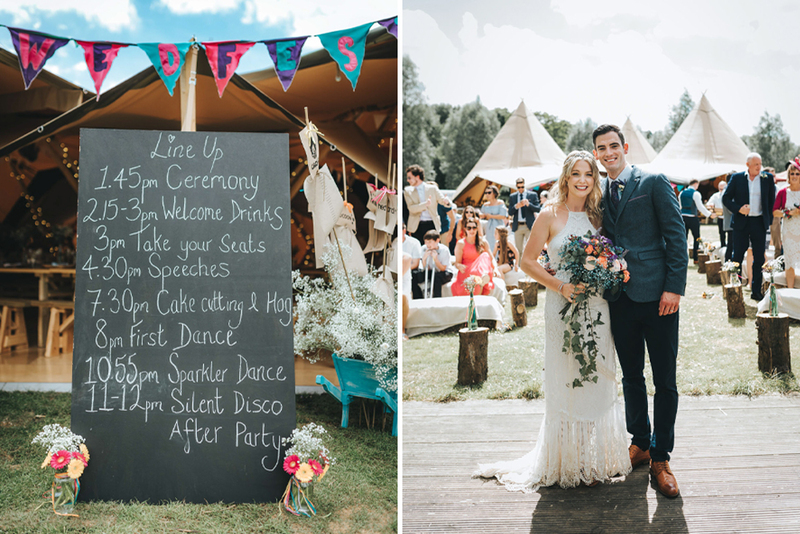 Full to bursting with love and emotion from real life couple the Two Bohemians, and immense styling, decor and florals from Rock the Day Styling, Anthology Vintage Hire and Velvet Rose Flower Studio. Adding the finishing touches was the sweet wedding stationery from Wonderland Invites, and fabulous macrame hangings. And how can I forget the grazing barrel by Grape and Fig. Apologies in advance if you’re yet to have lunch. Not only does it look immense, it is full of treats to enjoy. Pinning fingers at the ready! Bride Katy is the wedding co-ordinator at Helmingham Hall Gardens in Suffolk so she knows the venue inside out, but it didn’t stop her from envisioning something a little different than their normal offerings for her wedding day. 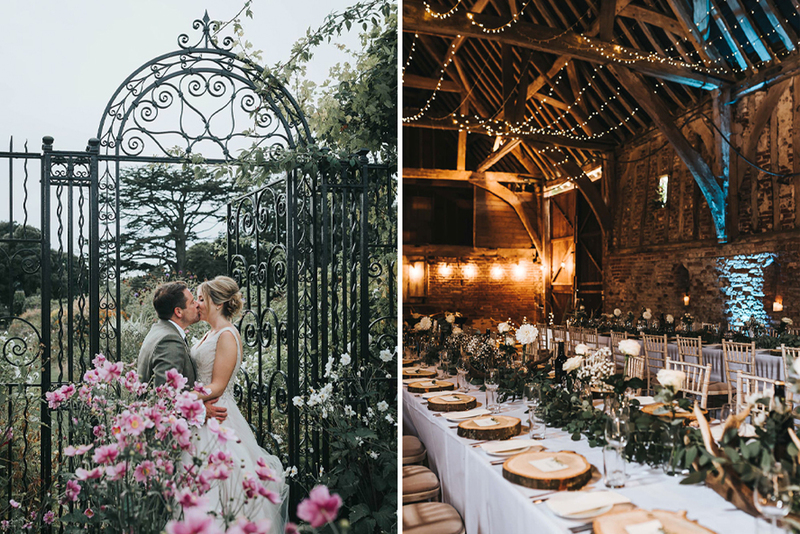 With the permission of owners Lord and Lady Tollmache who reside in Helmingham Hall, Katy went about transforming one of their old barns for the wedding reception. It began with an empty, cobwebbed, bird-nested wooden space with no warmth, but come the wedding day it was transformed into an inviting rustic haven with strung up fairy lights, hand carved wooden place mats, stag antler centrepieces and gorgeous greenery runners. I have to say I am in LOVE with every last detail and can’t wait to get my pin on. I’m also blown away by the rest of the house and surrounding gardens. They have made the couples portraits captured by Kelsie Low Photography über dreamy, making you feel like you’re stepping into a secret garden. Almost stealing the show are the adorable Flower girls in floral Monsoon dresses and flower crowns, but there is not denying how beautiful Katy looks in her Phil Collins Bridal gown, with Groom Haka by her side complimenting the country vibe perfectly in chino’s and a tweed jacket from Moss Bros.
You ready to be transported? This outdoor wedfest wedding is an absolute riot of colour, fun and fantastic DIY decor. I wish I was there. Chalkney Water Meadows in Colchester owned by wedding & events planning brothers Browning Bros made the perfect backdrop for this festival themed wedding. Allowing this gorgeous couple to really put their stamp on the day. They’ve literally thought of everything. From fun Colin the Caterpillar Marks and Spencer wedding cakes to a silent disco after hours. I’ve been lucky enough to go to a wedding that included this entertainment and it was SO much fun. I can also vouch for the cake too. Nom Nom. I had to stop myself from including every single image of Laura and her all white bridesmaids in the slider above. Every picture taken by Kelsie Low Photography captures all the love and laughter these girls share, but also show off their unbelievably gorgeous boho dresses. Not to mention their stunning headdresses and organic bouquets.